Maya Angelou really is quite the woman! After hearing that she passed away, I knew I had to read her autobiographies. I read I Know Why The Caged Bird Sings years ago, but it never occurred to me to pick up her other ones. I really am sad that I didn’t read them earlier. I’m actually glad I went with her collected autobiographies, because she did so much, and I felt like her life story flowed a lot better being able to read all of her autobiographies as a collective whole. I loved seeing her life up to when she started writing I Know Why The Caged Bird Sings, and she had such an eventful life! It did get a little tedious at times, especially with All God’s Children Need Traveling Shoes and A Song Flung Up To Heaven. All together, it was a definitely a marathon, and I think by the time I got to her last two books, I kind of wanted to be done with her autobiographies. They were interesting, and I don’t want to take away from that at all, but I also wish I had taken a little more time with them. It’s so easy to see how she became the person that she was- she is definitely a survivor, and always landed on her own two feet, no matter what happened to her. I was quite surprised by some of things I read- like running a brothel, and traveling all over the world (and even making an effort to learn the language of every country she visited) and working for both Malcolm X and Martin Luther King, Jr…she is truly an inspiration, and I feel like we’re so lucky that she shared her story with us. She really does have a way with words, and there were times when I forgot I was reading an autobiography. There’s something very poetic about the way she writes, and she has a way of feeling like she’s telling you a story. 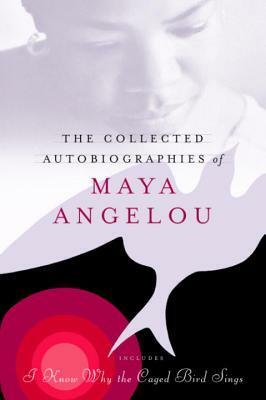 I feel so honored to have read Maya Angelou’s story. I feel like I understand her world so much better after reading her autobiographies, and I really regret taking so long to read them! Reading them as one collective work was daunting, especially with her last couple autobiographies, but I also liked seeing her life as a whole, instead of in shorter stories. Her Collected Autobiographies get 4 stars.